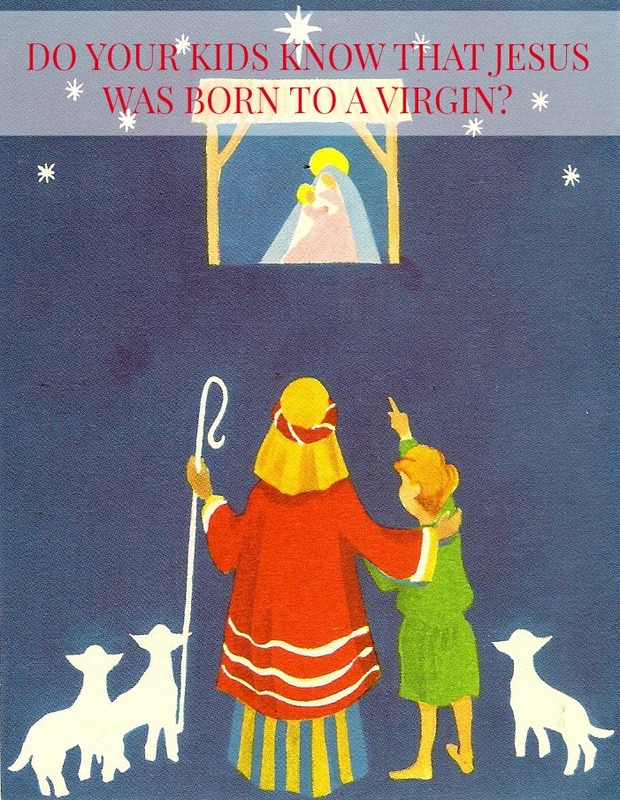 Do Your Kids Know That Jesus Was Born to a Virgin? Why in the world doesn’t my FIFTEEN year old know that Jesus was born to a virgin??? We talked about it for a bit, then the subject was dropped. But me..I was dumbfounded..and so was my husband..
How can a faithful church going family, a family that lives out their faith to best of their ability, a family that reads and teaches the Word of God… have a 15 year old that does not even know that Jesus was born to a virgin?! God just showed me that we just never went back to this subject of Jesus birth to a virgin. Of course we spoke all the time about his birth..but to have a conversation at age 15 about the amazing miracle of Jesus birth..well..I hung my head low. Know of this amazing miracle..of God’s amazing Love and Sacrifice of coming to earth for us..as a human..He did it just for us..His prize. The most amazing part about this experience is this.. I don’t have to be the perfect Mom/Parent. I can count on God to cover my back and bring about the things that matter most…in His time. I can rest in His grace..thank goodness! Oh I’m so glad Colleen! LOL It’s just such a funny thing isn’t it! I’m so glad that God has our back! LOL You are definitely right..we are the perfect parent for our kids! I pray you will have a very blessed Christmas and a very Happy New Year!! LOL Thank you Anna! I bet you definitely hear a lot! Thank you for stopping by to encourage me! Have a blessed Christmas!